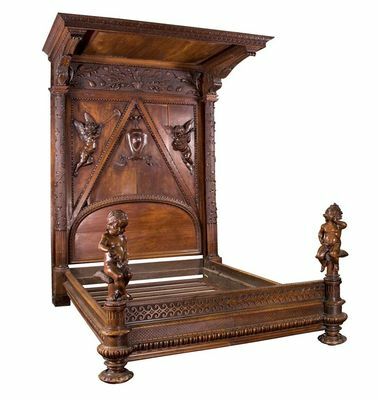 Lot 1215 Italian Renaissance Revival carved walnut bed created by Luigi Frullini in Florence, Italy, circa 1870. Property from the The John Carl Warnecke Trust. John Carl Warnecke (1919-2010) was one of the most prominent American architects of the 20th century.